Bring as little as possible! Low weight makes a difference. In western China I got into some frantic weight saving sessions with Janne Corax and some other bike adventurers. We even cut laundry instructions out of clothes in the end. Call us crazy, but we did manage to save up to a kilogram of "junk" each. A kilo that would have travelled many vertical meters for no good reason. The best way to save weight is to leave stuff at home, but you need to know what to leave and what to bring. Quality is another consideration. Sometimes high quality gear is a must and sometimes it's a waste of money. In this section I'll give you all the details about the gear i used, what I can recommend and what I would warn others about. I like to choose the less traveled roads, dirt roads, jeep tracks and walking trails. A slightly modified mountain bike is sturdy enough for this. Frame: Giant Granite (1997). A steel frame (CrMo) with fittings for rear and front rack. Rims: Mavic SUP. (36 spokes). The rear wheel takes up to 70% of the total weight, so it makes sense to have a stronger rear rim, and/or more spokes. Hubs: Shimano Alivio. I upgraded to LX before the second half of the trip. Tires: Schwalbe City Marathon. The Marathon XR would be better for a trip on only rough tracks. Brakes: V-brakes from Logan and Promax. Saddle Cover: Velo Extra Gel. My bum is not made for hard saddles. Front rack: Lowrider from Bor Yueh (aluminium). It broke after 11000 kms. I had a Chinese steel rack modified and fitted in Gilgit, Pakistan. Rear rack: Bor Yueh (aluminium) This broke after 12500 km. I had a local steel rack fitted in Kunming, China. Front panniers: Ortlieb Front Roller Light Back Roller Light. Rear panniers: Ortlieb Back Roller Light. Bike computer: Sigma BC800, plus extra battery. Lock: Trelock COPS (D-lock). KryptoFlex wire. I need to get a lighter lock (just a padlock and a chain/wire works fine in most parts of Asia). The wire is very good for locking the bike to the tent or a tree. Bottle cages: Two regular cages from Zéfal. Next time I'll try to find bottle cages/holders that take 1,5 liter bottles. Chain, or a few chain links. The latter is enough except on long trips in remote areas like Tibet. Spokes (2-8). Spokes can be bought locally, but not all sizes. In remote areas you need a few extra spokes, and you need to replace the ones that break, or more will break. Spare tire (only if you spend a long time in remote areas). Spare tube. I keep a good tube handy in the panniers to swap with when I have a puncture. I fix the hole the same night or in the next town. Brake wires (1-2). These would normally not break, but you should replace damaged ones for safety. Brake pads (2-8). If you're not cycling in the mountains you won't need more than a couple of pads, but long or repeated decents on bad dirtroads eat them fast. Gear wires (1-2). These are thinner than break wires and thinner than most local gear wires so it's good to carry one (or two for long trips in remote areas). Strong tape, wire, string, and glue for field repairs. Multi-Tool: Leatherman SuperTool. This tool has 4 screwdrivers, 2 knives, a file, a small saw blade, and a pair of pliers. Allen keys. It's possible to change all different allen screws into one standard size. I have not done that and have to carry four different allen keys. Spanners (8 and 10 mm). These could also be eliminated by using standard size allen screws. Tent: In many places a cheap and light dome tent with rainfly will do, or even just a tarp or a mosquito net and some rain cover (for warm and humid areas). If you go to higher altitudes or to windy or cold areas, then you should get a better tent. It's nice with a two person tent even if you're on your own. You can take all the luggage inside, and maybe even the bike. I use a Walrus Starstreme. It's a sturdy, but light enough, 3/4 season tent for two. Sleeping bag; I carried a light down bag on the first part of my expedition and a heavier one on the last part. Mattress: Cascade Designs Therm-a-rest LiteFoam Ultra Lite. I have the full length version but 3/4 size would be enough. There is always something to put under your feet and calfs when the ground is cold or rocky. Stove: MSR (Mountain Safety Research) Dragonfly. Water containers: A couple of 1,5-2 l coke bottles goes a long way in most areas. In remote and dry areas I would carry a foldable water sack from Ortlieb (10 liters) or just buy some plastic container in the local market. Candles: Good for reading at night. A warning is in place though; Tents tend to go up in flames if the reader falls asleep in mid-sentence. Keep the candle on a safe surface and away from clothes and tent fabric, and don't read when you're too sleepy! Parka/ jacket with a hood: One is enough if you pick a good one. It has to be light enough for summer. Breathing enough for cycling (and other activities). Waterproof enough for rain and sleet. Trousers of the same material as the jacket. Sarong. It works as a towel, a sheet, a blanket, a pillow cover, a bandana, a turban, and obviously, a sarong. Shoes: I use the lower and lighter kind of walking boots, but the keen cyclist may go for SPD-shoes. That is great if you've got a second pair of shoes for walking (or sandals) and if you stay away from snow, ice and mud. Sandals/flip flops/thongs. Just one pair of footware is possible but I carry a light pair of flip flops for warm climates. Sweden; Photo copies of a road atlas (1:300 000). Poland; PPWK Touring map number 2 and 7 (1:300 000) and PPWK Tourist map Okolice Lodzi (1:100 000). They were all good. Slovakia; VKU Harmanec Slovenska Republika Automapa (1:250 000). Very good. Hungary; Cartographia 0436 Hungary (1:500 000). Romania; Feycart Romania (1:700 000). Bulgaria; Cartographia Budapest 0425 Bulgaria (1:750 000). Iran; A free map from the consulate (1:2 500 000). There are much better maps, but not in Turkey or Pakistan. The World Map Series - Iran is probably the best one. Buy it at home, or try local province maps in farsi (persian). India; Lonely Planet's India and Bangladesh Road Atlas is good. Local province maps work fine for distances and sometimes altitude. Nepal; There are many different maps but not many roads. I used the Nelles Himalaya , with some notes from more detailed maps. China; GeoCenter's China map goes a long way. In remote areas its good to have "The Bible" - A Chinese road atlas (only in Chinese). It's brown and has got a plastic cover with white text and a golden steering wheel. You'll find it a larger book shops (ISBN: 7-5031-2000-2). There are more maps and atlases listed in the book section. For some areas the guidebooks are not that useful. Few towns are mentioned and practical information may be out of date. As an introduction to a new country, the can be great though, and in big cities they can save you a lot of time hassle and money. Don't carry more than one or two with you, but use them when you plan a trip. Guidebooks can be traded with travellers going the other way. I have used a lot of Lonely Planet guidebooks, but The Footprint books seems to be much more useful (for cycling and back-packing). I've looked through Pakistan Handbook, Nepal Handbook, and India Handbook (all from Footprint). If you only want survival facts, try Asia Overland (all of asia in one book!) from Trailblazer. There are more guidebooks listed in the book section. Moneybelt: Most parts of Asia is pretty safe when i comes to theft, but a hidden moneybelt is sensible. Where robbery is a possibility you should consider hiding some (not all) cash or cards even more. A hidden pocket in your bag or clothing is one solution. A fake bandage is another. Credit/debet/ATM Card: Visa and MasterCard are the most accepted. Cash: You don't need to change money at home before you go. Airports and border crossings are good places to change to the appropriate local currency. It's also a good idea to carry some US dollars or Euros, depending on where you are. Bring enough for those areas where there are no ATM:s and enough of the local currency where not even hard currency can be changed, which is rare. Passport photos (for visa applications). Tickets: Read about getting tickets in the planning section. Insurance: Read about travel insurance in the planning section. 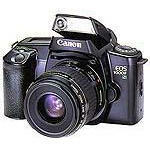 Camera (2007-): Canon EOS 400D (Body) . A popular DSLR with 10.1 Megapixel. I also bought a new Sigma 70-200mm F:2.8 EX DG APO Macro HSM . Camera (2006-2007): Canon Powershot S3 IS . A compact digital camera with a lot of zoom (12x optical and 48x with digital zoom enabled). This camera is ideal for bike adventures and hiking/trekking/backpacking. No need to carry extra lenses, and it takes standard AA (R6) batteries. What you might need when you're far from civilization is a storage device with extra capacity. I'm thinking about getting an Apple iPod (G5) with the iPod Camera Adapter. Camera (1994-2002): Canon EOS 1000 FN. It's a good and light camera, but I might bring a newer and/or smaller one on my next expedition. Maybe one of the cameras below (Canon Digital Ixus 55 or Canon EOS 350D). Lenses (for the Canon EOS): Tokina 70-210 mm, Vivitar Series 1 19-35 mm. Watch: One with altimeter could be useful when altitude is an issue - time is usually not, on my trips, and when it is I use my bike computer. Compass: I carry a tiny one just for emergencies. Batteries: Don't forget batteries for your torch/flashlight, camera, bike computer, watch, phone, etc. Reading material: A good paperback can be traded at the next traveller hang out or second hand book shop.